If you've upgraded to the newest version of Google Maps for Android, you may have noticed that the update removes the "Local" app in favor of the "Explore" option which is somewhat buried in the Maps search page. And, on Friday the Google+ Local app was pulled from the iTunes App Store. It seems that both of those moves may be because Google wants to promote its newly redesigned Zagat app which launched today for Android and iOS. 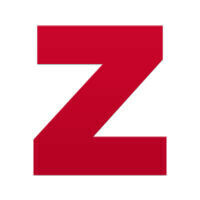 Unfortunately, while the new Zagat app brings a complete redesign and interesting features, the app is severely limited with dining info for just 9 cities: Austin, Boston, Chicago, London, Los Angeles, New York City, Philadelphia, San Francisco, and Washington, D.C. Yep, that's it. If you live anywhere too far from one of those cities, you might as well ignore this app for now, although Google is promising to expand to "50 U.S. and international destinations and cover shopping, hotels and other places of interest" in the coming months. If you do live in or near one of those cities, the app is quite nice. The redesign is attractive and fast, and adds new content like restaurant news, video reviews, curated lists, and even restaurant menus. And, the biggest change from the old Zagat app is that this app is completely free, rather than carrying the $10 price tag from before. Sounds like Yelp! just breathed a sigh of relief.